Product information "Lithiumakku TRAVELSCOOT 151,2 Wh Compact"
Special for air traveling made when the airline does not follow the IATA rules for mobility aids we have a 151.2 Wh lithium battery with UN test to stay mobile anyway. 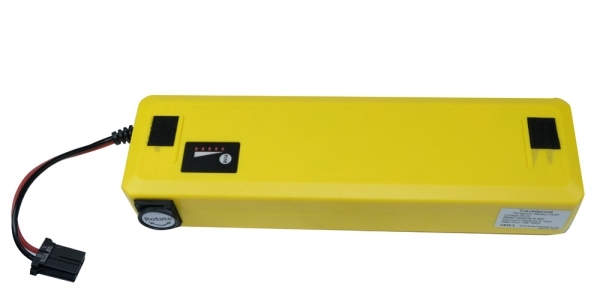 An TravelScoot lithium battery charger is neccessary to charge this battery. If you have the old red plug system (scooters produced before year 2013) please order the adapter additional. Related links to "Lithiumakku TRAVELSCOOT 151,2 Wh Compact"